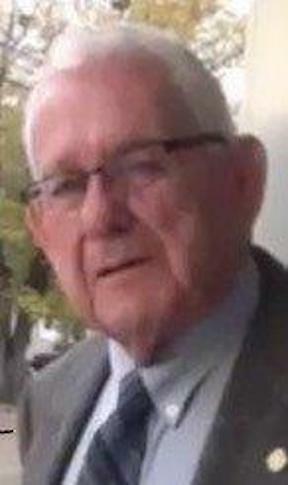 James “Jim” Nelson Campbell, 88, of Barberton, was called home to be with the Lord on July 20, 2018. Jim was born on May 23, 1930 in Pittsburgh, PA. He was preceded in death by his parents, John Nelson and Thelma (Herwick) and his sister, Janice (Campbell) Blose. Jim graduated in 1948 from Barberton High School. He joined the U.S. Army and deployed to Korea with the Military Police. He is a lifetime member of the VFW. After the war, Jim was hired by P.P.G. Industries. He retired from there in 1989, after 38 years of service. Jim has been a member of the Columbia United Church of Christ since 1942. He also held a membership with Barberton Friends of Library. Jim is survived by his wife of 66 years, Janet E. (Kovac) Campbell. They were married in Barberton on May 3, 1952. He is also survived by his four children, Melody (Gary) Price of Huntington Beach, CA, Valerie Fornataro of New Castle, PA, Caroline (Tony) Gradisher of Barberton and Joel (Colleen) Campbell of Copley, OH. In addition, Jim also leaves behind nine grandchildren, twelve great grandchildren, sister-in-law’s, Lillian (Kovac) Seely and Barbara (Kovac) Richardson and numerous nieces and nephews. Cremation has taken place and a private service for the family will be held at a later date. Condolences can be shared with the family at www.heritagecremationsociety.com. My condolences to the family. May he rest in peace!! My sympathy to you and the family. May he Rest In Peace. If my memory is correct – didn’t he have a piercing whistle to bring the kids home in the evening? My heartfelt condolences to the family.